Who can help me find Spanish pianist and arranger José Luis Navarro - in full José Luis Navarro Saenz de Jubera - who conducted Spain's 1979 Eurovision entry 'Sú canción' by Betty Missiego? I would like to interview him about his career in music. Please contact me by leaving a comment below, through the contact form of www.andtheconductoris.eu, or by sending a message to this page. Bas Tukker / author, Breda-Netherlands. On March 26th, 2014, in Jerusalem (Israel), French composer and multi-instrumentalist Jacques Lasry passed away, aged 96. Jacques Lasry was born into a French-Jewish family in Alger (then French Algeria), 1918. Discovering music on his uncle's Boisselot piano, he followed piano lessons and studied chamber music, before entering the Alger Conservatory (piano studies: 1932-'36). As his ambition was to be a concert pianist, he decided to move to Paris to continue his studies at the Ecole Normale de Musique. It was there that he met his fellow student and future wife Yvonne. Meanwhile, Lasry also studied the piano privately with the renowned Marguerite Long. The Second World War heralded a watershed in Lasry's career. Forced to abandon his studies and France, he escaped the German invasion by fleeing back to Algeria. Upon his return to Paris in 1945, he started earning his money as a piano accompanist. After a tour which took Jacques and Yvonne to Denmark and Sweden, Jacques became the pianist of the Milord d'Arsouille, Paris' famous cabaret littéraire. Here he accompanied the likes of Michèle Arnaud and Serge Gainsbourg, whilst also impressing the cabaret's guests with his improvisations. Charlie Chaplin wanted him to become his accompanist, but Lasry turned down this offer. In the 1950s, Lasry occasionally worked as a studio arranger, mainly for the artists with which he worked in the Milord d'Arsouille. When Michèle Arnaud was selected to represent Luxembourg in the very first Eurovision Song Contest (Lugano, 1956), Jacques Lasry accompanied her as an arranger and conductor of the two titles with which she participated, 'Ne crois pas' and 'Les amants de minuit'. In the late 1950s, Lasry and his friend François Baschet invented the Cristal, a metal construction which produces sound from oscillating glass cilinders. With Yvonne Lasry and Bernard Baschet, they formed the quartet Les Structures Sonores Lasry-Baschet, which toured in Europe and even performed in the Ed Sullivan Show in New York, recording several albums, most prominently 'Chronophagie' (1954), which was re-released internationally as 'The Time Eaters' in 1960. Lasry composed his own music for the Cristal, whilst also re-arranging classical pieces for this particular instrument. 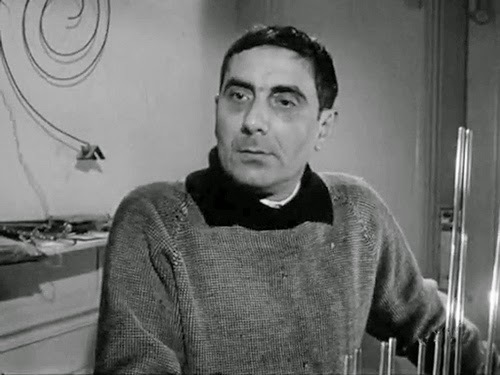 In the 1960s, Lasry was regularly commissioned to write film soundtracks, such as 'Le roi du village' (1963). In 1968, he converted to orthodox judaism, abandoning all of his professional activities. Jacques and Yvonne moved to Israel in 1978 to settle down in Jerusalem. On Ascension Day, 2014 (29th of May), Croatian musician Miljenko Prohaska passed away, aged 89. He conducted four Yugoslavian Eurovision entries between 1963 and 1971, making a comeback after more than two decades in 1994 to conduct the festival orchestra for Croatia's entry. More about Miljenko Prohaska and all other Conductors of Eurovision @ www.andtheconductoris.eu. Miljenko Prohaska studied the double-bass at secondary music school, graduating in 1951; after that, he got himself a licence in music teaching at the Zagreb Conservatory (1956). From the 1950s until his retirement as an active musician in 1989, Prohaska played contrabass in many different orchestras and bands, including, most notably, the Radio Zagreb Symphony Orchestra and the Zagreb Philharmonic Orchestra. In the 1960s, he started working as a composer and arranger in the jazz and light entertainment industry. Prohaska penned arrangements for well-known Yugoslavian pop stars and composed the music to fifteen movies, as well as to many TV and theatre shows. Between 1967 and 1969, he was the musical director of the then highly popular Zagrebfest, a light entertainment song contest. He won several prizes for his work, including the 1968 Golden Arena for best film music and two different awards for his oeuvre as a whole (in 1988 and 1995). During two spells (1967-’68; 1988-’90), Prohaska served as the president of the Croatian Composers’ Society (HDS). Miljenko Prohaska was involved as a conductor in the Eurovision Song Contest on five occasions. He made his debut on the Eurovision stage in 1963, when he led the orchestra in London for Vice Vukov, the Yugoslav representative; Prohaska made further appearances with other Croats who represented Yugoslavia: Dubrovački Trubaduri (1968 - 'Jedan dan'), Ivan (1969 - 'Pozdrav svijetu'), and Krunoslav Slabinac (1971 - 'Tvoj djecak je tuzan'). ‘Jedan dan’, the 1968 entry, went on to become a hit record in several Western European countries. In 1994, after an absence of no fewer than twenty-three years, Prohaska returned to the Eurovision Song Contest, conducting the second-ever Croatian entry, ‘Nek’ti bude ljubav sva’, performed by Toni Cetinski. On May 10th, 2014, at home in his apartment in Puteaux (Greater Paris), composer and arranger André Popp passed away, aged 90. André Popp composed four songs for the Eurovision Song Contest, amongst which one winning entry and one entry for which he conducted the orchestra himself. André Popp was born in the Vendée region, Western France, where he grew up in his grandparents' villa. His mother sent him to a piano teacher when he was five years old. Later onwards, at secondary school, André played the church organ after the cleric originally entrusted with this task had been enlisted into the French army upon Germany's declaration of war in 1940. During the war years, André met songwriter Jean Broussolle, with whom he travelled to Paris after the liberation of France. With Broussolle, Popp tried breaking into the Parisian music industry by signing many songs, most notably 'Grand papa laboureur', which was recorded by Cathérine Sauvage. In the late 1940s, Popp also worked as a piano accompanist for theatres and record companies. Later on, after a particularly well-received Christmas broadcast for which he had written the music, Popp was signed by French radio as a producer and conductor (1953). Having formed his own orchestra, he entertained nationwide audiences with his instrumental compositions and arrangements in different styles in 'La bride sur le cou', a weekly radio programme which ran for five consecutive years. Meanwhile, Popp continued composing songs, amongst which big (international) hit successes such as 'Les lavandières du Portugal' (Portuguese washerwomen), originally recorded by Jacqueline François (1954), Eurovision winner 'Tom Pillibi' for Jacqueline Boyer (1960), and 'Manchester et Liverpool' for Marie Lafôret (1967). As an arranger, he worked with many different artists, most notably Jacques Brel, for whom he wrote the original score to 'Quand on n'a que l'amour'. Testimony to Popp's creativity is the creation of an educative symphonic work for children, 'Piccolo, Saxo et Cie.', for which he teamed up with his old friend Jean Broussolle. He also released several instrumental albums, including the innovative 'Delirium in Hi-Fi' (under the pseudonym Elsa Popping) and two LPs with ukelele virtuoso Herb Ohta. In the Eurovision Song Contest, after his victory with 'Tom Pillibi' (France 1960, lyrics by Pierre Cour), Popp composed three more Grand Prix entries: 'Le chant de Mallory' (Rachel, France 1964), 'L'amour est bleu' (Vicky Leandros, Luxembourg 1967), and 'Une chanson c'est une lettre' (Sophie Hecquet, Monaco 1975). For the last-mentioned song, Popp conducted the Eurovision orchestra himself. Though 'L'amour est bleu' did not win the Eurovision Song Contest, finishing fourth, it became Popp's biggest world-wide hit in an instrumental cover version by the orchestra of Paul Mauriat. In the United States, it was the second-best selling single release of 1968, beaten only by 'Hey Jude' (Beatles).